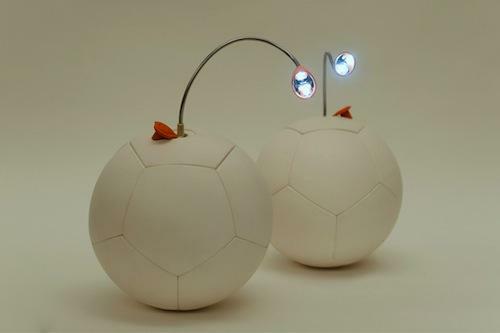 A New York-based startup is taking the idea of energy harvesting to a more philanthropic level through the use of something that can be found in nearly every country in the world — a soccer ball. The founders of Uncharted Play Inc. have developed a prototype soccer ball, called SOCCKET, that captures the kinetic energy created when it is kicked or thrown. The ball — born out of an undergraduate project at Harvard University and developed in part by company co-founders Jessica O. Matthews and Julia Silverman — stores that energy in an internal battery that can be used later. The product is aimed at giving people in poorer countries access to energy where they otherwise may have none, Alison Dalton Smith, director of communications for Uncharted Play, told Design News. “So many people live in energy poverty — 2.6 billion people worldwide according to the United Nations. This means they are completely off the grid with no energy at all, and they burn highly pollutant fuel like kerosene, dung, or wood for light in their homes.” Other people in poor nations must put up with intermittent electricity due to rolling blackouts, or purchase electricity on a black market that is cost-prohibitively expensive, she said. SOCCKET is made of a soft plastic material that is similar to the texture of a soccer ball and uses an energy harvester inside that swings like a pendulum whenever the ball moves. There the kinetic energy is converted to electrical energy through an internal circuit board and then stored in a battery that can be used by small electronic devices. Playing with the ball for about 30 minutes will enable the battery inside to provide at least three hours of light — though Smith said it has provided more — to an LED light the company designed to be used with SOCCKET. The company is also working on other accessories for the ball, including an iPhone charger, a water sterilizer, and speakers. SOCCKET harvests and generates a modest 6W of energy. “In Mexico, for example, people have been replacing candlelight with SOCCKET, and that is offsetting the household income they were dedicating to buying candles,” Smith said. The Mexican pilot program was put in place in collaboration with the Mexican television network Televisa. It’s one of several business partners Uncharted Play has worked with — Western Union and State Farm among them — who pay for the fabrication of the SOCCKETs. SOCCKET is not meant to solve the energy poverty problem, but merely to call attention to it and provide an interim solution people deprived of electricity can use now, according to Smith. 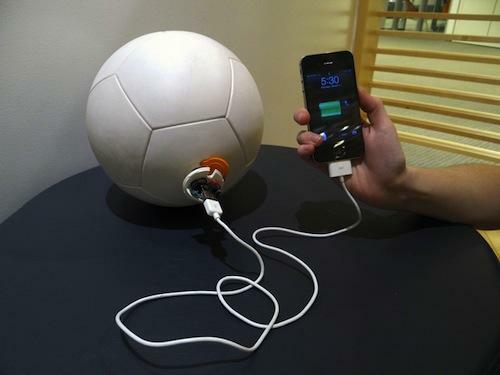 In the future the company hopes the soccer ball, which has universal appeal, can be used as a development model for other ways to harvest energy and provide affordable energy solutions to those that need it.